Most of us can agree that food has power. Power over our ability to function as humans for a start, but power over our will, over our moods and physiology, and sometimes even over our sense of self-worth and who we are. But lately, we’ve been increasingly seeing the power of food use its forces for good, all over the UK. 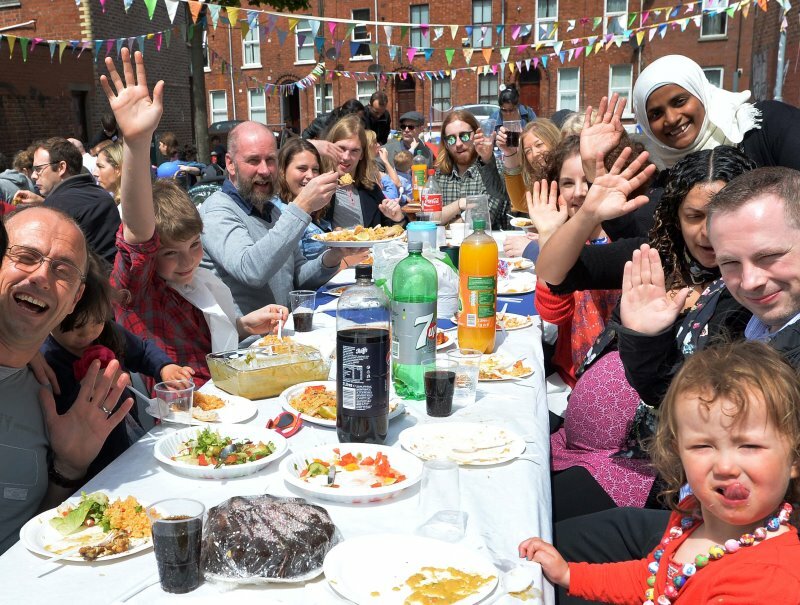 ‘Feast of Peace’, ‘Picnic for Peace’ and the ‘Our Street Party movement’ are just some of the responses to the increased tension and unwanted behaviour being experienced by many UK communities. The small act of coming together to eat can do so much to comfort us and connect us—not only to each other but to a mindset or a movement too. For example, Feast of Peace organiser Kay Johnson explains, “If we can eat together we can live together. Sharing food creates a sense of solidarity and community togetherness. And this is what people want to feel—need to feel—in times of fear, uncertainty, and disruption. Whether that’s after an earthquake or a flood, the death of a community leader or group of community minorities, or in response to burgeoning hate crimes and discrimination. We’re seeing people breaking bread and breaking barriers. Mixing cocktails and mingling among cultures, sharing signature dishes and standing together—long after the last helping of dessert. We’ve always been big believers in the power of food, but it’s togetherness that we really crave and community spirit that we want to feed. And with stronger communities, we can use our power to help save food. Food can do, be and create beautiful things but its industry is not without issues. As strong, resilient communities we can be activists against food waste, believers in buying local, soldiers for sustainability, solution-finders for food shortages, and revolutionaries reducing food poverty—that’s the power of connected communities. Food can help us and together, we can help our situation and relationship with food. For the month of September, we’re celebrating the power of food with a collection of stories, blog posts, interviews and information about good people coming together to do good things with food. We’ve got an exciting line-up of guest bloggers from across the UK who’ll be joining the discussion. You can join us on Facebook and Twitter, using the hashtag #FoodPower.